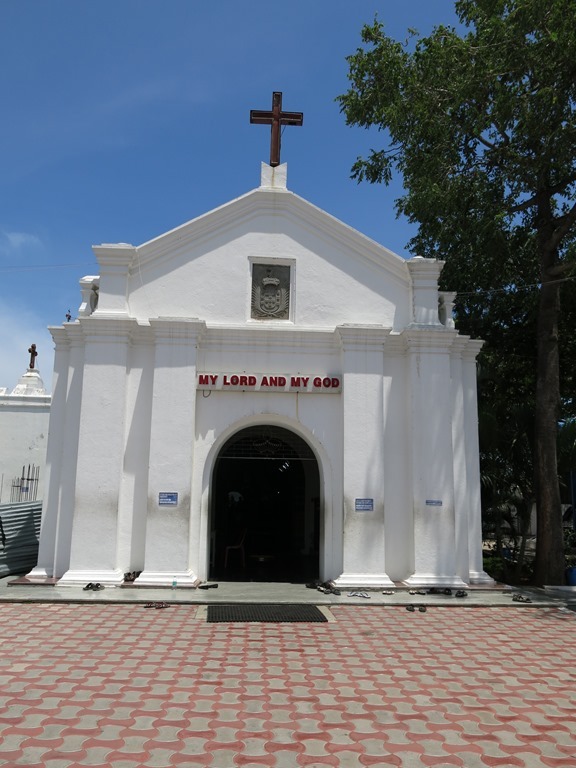 St. Thomas Mount, situated near the Chennai airport, is the closest historical site to the Radisson Blu Hotel, where we spent the first five weeks of our stay in India. Having visited sites all over the city, it seemed obligatory to tour the Mount before moving to our apartment an hour away. Accordingly, Brianna and I booked a cab and set off for the hill which is said to be the place where the Apostle Thomas often spent time in prayer and where he was martyred. We shortly turned off the busy six-lane street that runs past the hotel and into the tree-lined winding lanes of the army cantonment first established by the British. Dakshinachitra is a gem–a beautifully executed exhibition of South Indian culture about an hour south of Chennai on the East Coast Road. Brianna and I and two of her friends four hours there. We could have stayed all day, touring the authentic homes reconstructed in the midst of clean, landscaped grounds, viewing the art gallery, doing crafts. And we didn’t even make it to the playground or the bookstore. I have moved all the posts about the Yaghnobi language to their own blog at The Yaghnobi.